Zebra Medical Vision (https://www.zebra-med.com/), the leading machine and deep learning startup, is announcing today it has raised $30M in C round funding, bringing the total investment in the company to $50M. In addition, the company is unveiling its Textray chest x-ray research (https://arxiv.org/abs/1806.02121) today, the most comprehensive AI research conducted on chest x-rays to date, which provides a glimpse into a future automated chest x-ray analysis product being developed by the company. 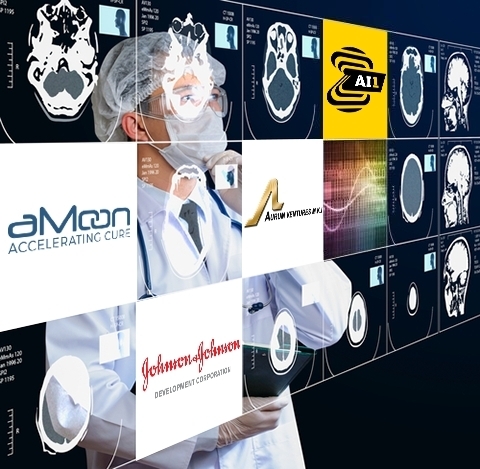 This round of investment is led by aMoon Ventures with the participation of strategic healthcare investors Aurum, Johnson & Johnson Innovation JJDC Inc. and Intermountain Healthcare and leading global AI scientists Professor Fei Fei Lee and Richard Socher. These new investors are joining a list of existing investors Khosla Ventures, NVIDIA, Marc Benioff, OurCrowd and Dolby Ventures who also participated in this C round. The chest x-ray AI analytics product was trained using nearly 2 million images to identify 40 different common clinical findings. The results of the study establish a new bar for AI research in medical imaging, demonstrating high rates of agreement between the algorithm and human radiologist experts. This publication continues Zebra-Med’s mission to drive a higher standard of care across the radiology domain and collaborate with the medical community to improve patient care. Zebra Medical Vision is a leader in the growing market of AI-based tools for radiology. The company has received the CE regulatory mark for seven of its products, as well as approvals in numerous countries across Latin America and Asia, and continues to build a strong pipeline of AI based products. It’s most recent announcements were the CE approval of CT brain bleed and mammography lesion detection algorithms. On its path to build the world’s most comprehensive visual lab, the company’s current and future arsenal of AI algorithms is bundled into a unique $1 per scan offering to hospitals, in order to meet the company founders’ vision toward scalable, transparent and affordable care globally. “I’m extremely proud of our team here at Zebra Medical Vision, that is pushing to develop and release next generation AI products with the commitment to make them affordable to the global market,” said Elad Benjamin, co-founder and CEO of Zebra Medical Vision. Zebra Medical Vision uses deep learning to create and provide next generation products and services to the healthcare industry. Its Imaging Analytics Platform gives healthcare institutions tools to potentially identify patients at risk of disease, allowing them to improve patient care. Headquartered in Kibbutz Shefayim Israel, the Company was founded in 2014 by Co-Founders Eyal Toledano, Eyal Gura, and Elad Benjamin and funded by Khosla Ventures, Marc Benioff, Intermountain Investment Fund, OurCrowd and Dolby Ventures. For more information visit https://www.zebra-med.com/. aMoon is a leading Israeli life sciences venture fund which invests globally in disruptive healthcare ventures. The aMoon team is passionate about building successful businesses and helping Israeli digital health, biopharma and medical technology companies realize their potential. aMoon partners with management teams dedicated to accelerating cures for the world's most life-threatening conditions and those providing solutions for global healthcare's biggest cost drivers. For more information, visit https://amoon.fund/.